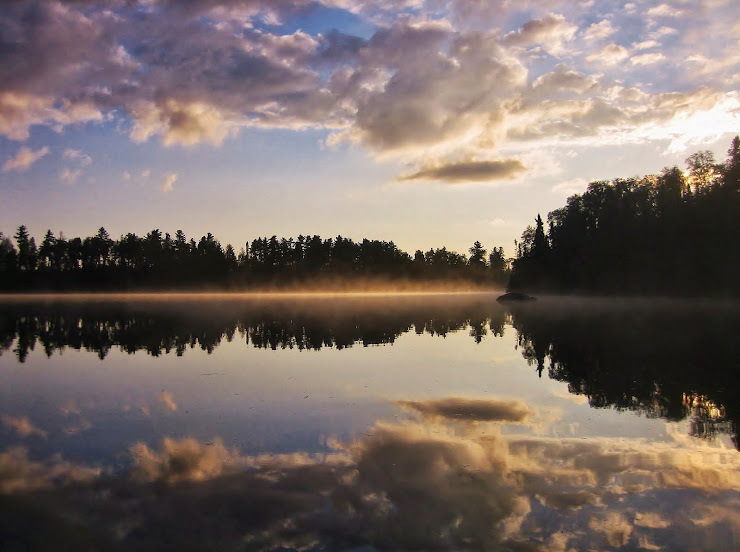 According to the Cook County Star, Betsy Jane Powell of Saganaga Lake died on October 21st 2007. 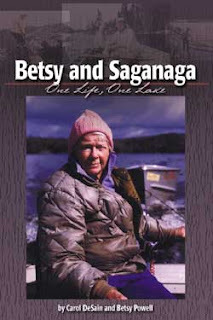 I didn't know Betsy personally, only from hearing the stories, then reading her book. We portaged into her abandoned Saganaga Lake resort this September---she operated Green Forest Lodge, a resort on the Canadian side of Sag from 1937 until 2004 when she fell and hurt herself while blueberry picking. I think I really liked her. Noah told us of avoiding her little bay in his towboat in 2003---he claimed that she sat on the dock with a shotgun to scare off intruders. Not sure if it was true, but it is fitting for my image of a strong eccentric woman growing old in the north woods. I like to imagine what it was like to survive life in the true wilderness in the 30's and 40's---when she lived off the grid, without Internet access, or highway to Duluth. (Sure, we live at the end of the road, but Bill the UPS man visits us nearly every day.) I like to think of her unconventional get-her-done nature with little regard for society's rules. I like it that she was self reliant and capable, even into old age. She was tough. I think I miss her. The strong women you describe truly did scare people off, but it wasn't with a shotgun, but with her trusty 30/30 lever action Winchester. I know because I am one of Betsy's Great Nephews. If you look at the picture of her family, you will see my recently deceased grandfather, Rossmyn. By the way, Betsy loved people who were guests at her resort as well as those fishing along the lake. However, she hated people trying to use "her" portage into Sagnagons. Most who tried were paddling canoes and would end up on her beach. When I was little, she shot near some campers who had set up on her beach to scare them "off her property". Her sister Marge is the only family member alive. Though Betsy is dead, her memories live on at least through me.